Recently there was a meeting to inform residents in Phuket Old Town about the 2nd phase of underground cable construction, this time on Krabi Road. The meeting was held at Phuket Thai Hua Museum. Those present at the meeting were Somjai Suwansupana – the Mayor of Phuket City Municipality (PCM); Kawee Tunsukatanun – the Deputy Mayor of PCM; PCM’s board members; people residing in the area of Phuket Old Town; representatives from the Special Project Department of Provincial Electricity Authority, representatives from TOT Co. Ltd; the manager of Customer Service Department of CAT Co. Ltd; and representatives from Cable TV service providers. 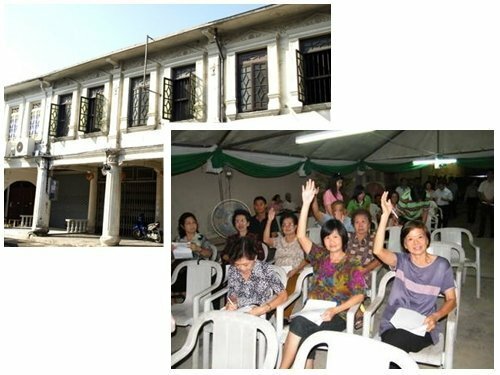 Somjai said that PCM had hosted the meeting to find out if people residing in the old town area agreed to continue the underground cable project on June 4th 2010. It was concluded that most residents agreed to support the project. However the residents representatives suggested the construction needed to be improved; the cables should be put underground as much as possible; and the light system and electricity meters should be considered as well. She added that PCM had collected all suggestions and will use them to improve the underground cable construction next time and the construction and design had to match to the architecture of the area.